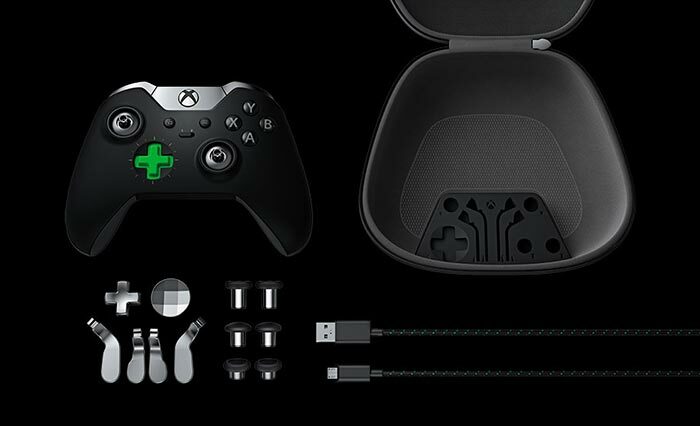 Microsoft has announced the 'pro-level' Xbox Elite Wireless Controller. This $149.99 games controller will support Xbox One and Windows 10 systems and be released in October this year. The controller is said to offer enhanced and customisable ergonomics largely thanks to its swappable components. 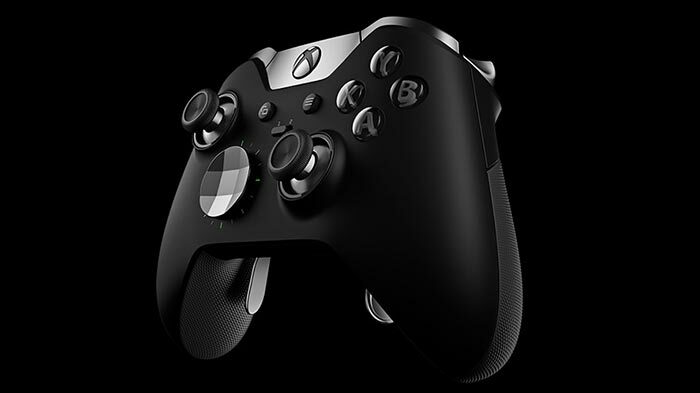 The Xbox Elite Wireless Controller bears a passing resemblance to the current standard Xobox One Controller but offers customisation and the potential to be adapted to fit your unique style of play. Microsoft's product page gushes that the controller is "performance-class," and was designed "in collaboration with pro-level players," to unlock user gaming potential and provide "game-changing accuracy, faster speed, and a tailored feel unlike anything before". One of the first things you will notice from the pictures of the Xbox Elite Wireless Controller is the new faceted D-pad. This input node is said to provide "easier and more reliable combo execution". However if you would prefer a traditional + pad configuration this, like most of the other pads, sticks and triggers is interchangeable – there's a traditional + pad included in the box. Buyers of the Elite controller will also enjoy the choice of thumbsticks on offer. In the box Microsoft provides two standard, two tall and two domed pairs of thumbsticks. On the underside of the controller there are four slots for tool-less interchangeable paddle controls. The controller's trigger buttons can be switched to hair trigger mode via independent locks. The overall construction of the Elite controller is said to be designed for the rigours of gaming. "Stainless steel thumbstick shafts, D-pads, and paddles are built to last," promises Microsoft "Low-friction, reinforced rings around each thumbstick minimize wear and provide buttery-smooth action." The underside of the controller features a rubberised diamond grip and there is a soft-touch finish on top of the controller. Rounding off the package Microsoft's easy to use app allows you to fine tune the controller with trigger min/max values, thumbstick sensitivities, button assignments, and more. While you can create as many profiles as you like only two can be stored in the controller to toggle between using the profile switch. While the Elite controller is compatible with both Xbox One and Windows 7 or newer systems, the above mentioned profiles app requires Xbox One or Windows 10. 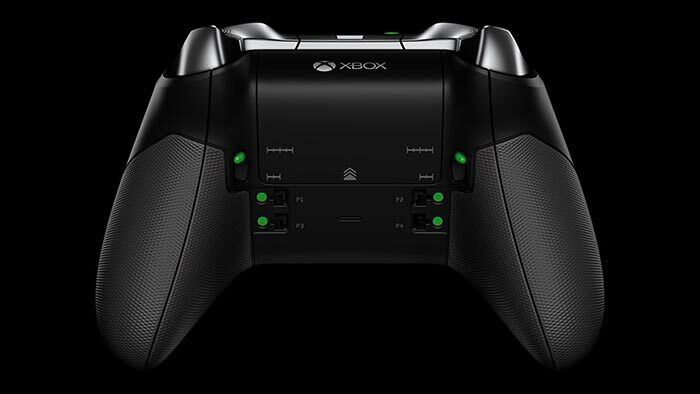 As mentioned in the intro, the Xbox Elite Wireless Controller will become available from October. System requirements: For use with Xbox One systems and PCs running Windows 7 or later. PC use requires included USB cable or Wireless Adapter (available Holiday 2015). Drivers available at xbox.com/xboxone/PC-controller. Xbox Accessories App requirements: Available on Xbox One and Windows 10 PCs. Haptic feedback: Features Impulse Triggers* and rumble motors. Motor control can be adjusted in the App. Weight: 348g (+/- 15g) when using with 4 paddles, faceted D-pad, AA batteries and standard thumbsticks attached. Connectivity: Wireless, or wired using included 9’ USB cable. Data transfers through the USB cable when connected to the controller and console/PC. Link. Perhaps useful to those who are interested in this? Seems interesting. Wouldn't mind using one just to see if there is any benefit to the back paddles. Never mind, this expired as I posted it ! If imitation really is the sincerest form of flattery Valve can consider themselves roundly flattered. Sony just need to produce a pro/elite gamepad now of a more solid build quality(especailly the trigger buttons) and better battery life. I, for one would buy it. Erm.. why? That's just a fancy D-pad cover, not a track pad. This is just an improvement on their standard controller, nothing really ground-breaking going on here (other than the price). I play PC games with a 360 controller and enjoy it, for me, the steam controller is still the next step just because it will allow me to use a controller to play non-controller compatible games in my steam library. I think the sticking point for most people will be the $150 price tag, which will be north of £120 over here.